Custom designed hitch covers. 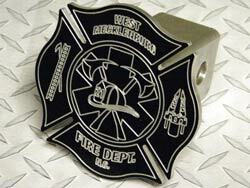 One piece 3/16" aluminum construction. 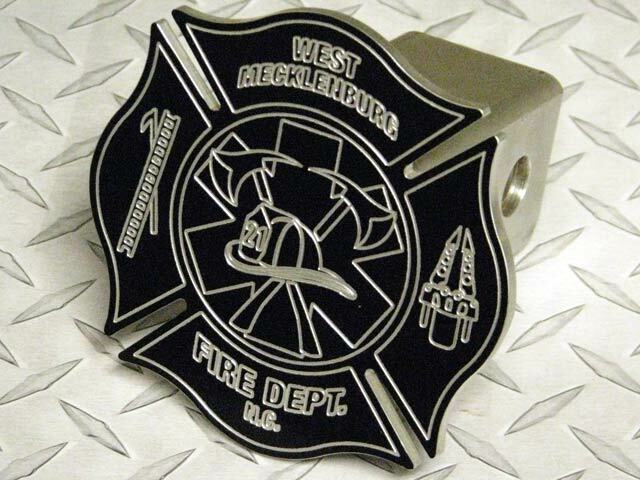 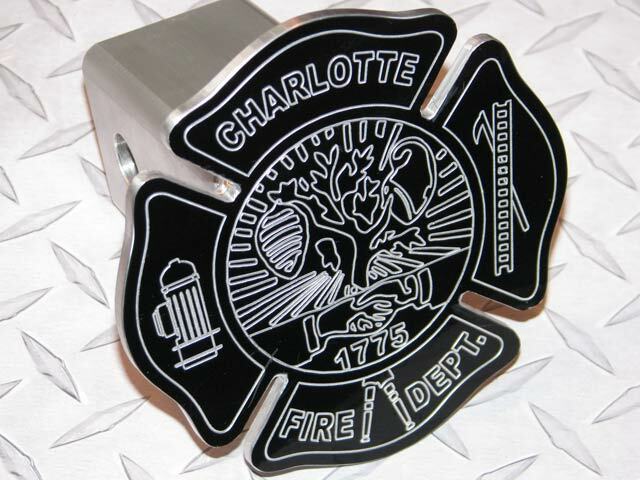 Powder-coated then engraved with your design and machined.